SAY THE WORD 99¢ PUB-VERSARY SALE! 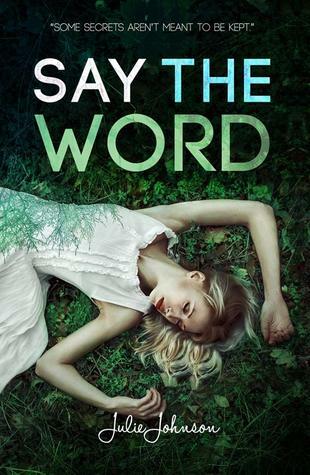 SAY THE WORD is on SALE for 99¢ on all platforms! In a few days, the price will go back up to $3.99, so make sure to one-click before it's too late! This book means so much to me -- it always will. Lux and Bash (and Jamie, duh) hold such a special place in my heart. Writing their story changed me; it made me want to "live in the light," to cherish those closest to me, to try my best to be a better person. I'll never forget these characters, or the journey they took within the space of 460 pages. I have to send out a HUGE thank you to every single reader, blogger, and author out there who reached out to me with words of kindness and support, who left a review on Amazon or Goodreads, who recommended STW to a fellow bookworm.... It's because of you that any of this is possible. So THANK YOU! I adore you all. Want to read NOT YOU IT'S ME early? Fill out this form!